Callum McLelland is set to start against his former club. 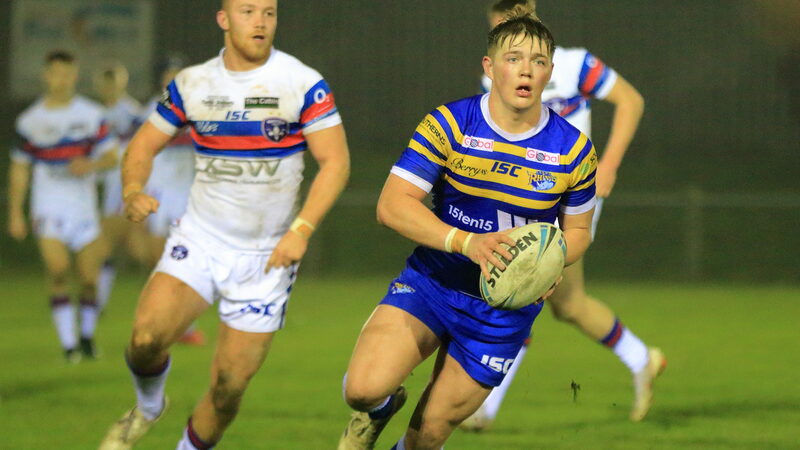 With three wins from three matches at the start of the 2019 academy season, Leeds Rhinos Academy coach Rob Burrow has made six changes ahead of this Saturday’s clash with Castleford Tigers academy, kick off 12pm at Stanningley SARLC. New signing Jarrod O’Connor will make his first Rhinos appearance since arriving from Widnes Vikings. The loose forward has spent the last month on the side-lines with a knee injury but will want to impress off the bench against the Tigers. Harry Anderson, who was eighteenth man last week, has been promoted into the starting line-up to make his academy debut, replacing Harvey Spence. Anderson will partner Callum McLelland, who returns from a hip injury to face his former club. McLelland spent two years in the Tigers’ academy and was part of the squad that reached the 2017 academy Grand Final, playing alongside current Castleford first team half back Jake Trueman. Brad Martin and Loui McConnell remain in the front row whilst Rian Rowley, Tyler Dupree and Corey Johnson are also unchanged in the pack. All five players have featured in every game this season, with Johnson and McConnell the only ones to start them. Tom Barton is set for his first start after scoring two tries in the 62-10 home win over London Broncos. The centre has come off the bench in the last two games but with joint top-try scorer Jack Broadbent joining Featherstone Rovers on dual registration, Barton will partner Ben Markland on the right edge. Markland suffered concussion in the opening game against Wakefield but returns to the starting line-up, replacing Liam Tindall. Despite starting in both wins against Castleford last season, winger Liam Hamill is included on the bench for his first appearance of 2019. He is joined by Oli Burton and Jordan Russell, who were both among the substitutes against Widnes. You can watch the full match live on the Leeds Rhinos YouTube And Facebook pages with full match commentary, guest analysts and post-match reaction. Five second half tries ensured that Leeds Rhinos Academy survived a scare from Castleford Tigers Academy; the Rhinos winning 36-24 to continue their unbeaten run. The Tigers arrived at Stanningley having lost all of their opening three games but shocked the system when Ben Markland coughed up the ball thirty metres from the Leeds try line. As Iwan Stephens tried to reclaim possession, Lewis Carr reacted quicker scooping up the ball and racing away to score with five minutes on the clock. 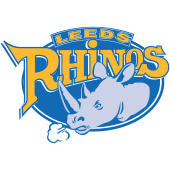 Rhinos debutant Harry Anderson edged Leeds ahead before the ten minute mark. Wayne Bannister knocked on from a McLelland kick and from the scrum, Leeds pushed for their opening score. Moving the ball right, Anderson threw a dummy and stepped round the rushing defenders to score under the posts. Iwan Stephens slotted the conversion as Rob Burrow’s side took a 6-4 lead. Tom Barton extended the lead further with his effort close to the line. With the Tigers conceding another penalty, the Rhinos would capitalise with Barton taking the pass from Liam Whitton to score his first of the afternoon. 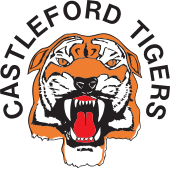 Despite seeing their lead slip away, Castleford continued to probe and apply pressure on the home side. Carr could have had a second but Kian Morgan spilled the ball before he could put his winger in. Joe Summers would level the scores, crashing over thanks to a short pass by Lewis Peachey. The Rhinos had more opportunities to put Leeds in front again; Stephens spilling passes out wide that could have give Leeds a healthy lead at half time. It would be his opposite number Carr that scored his second in the corner. A break down field set Castleford in good stead and with a man down, Leeds couldn’t cover out on the edge, allowing the Tigers’ winger to score. Sweeting missed the conversion making the half time score 12-14 to Castleford. Despite an early try for former Leeds scholarship player Danny Attley, the Rhinos would turn the tables to go on and win the match. A break by Carr down the field was covered by full back Whitton but as the Tigers moved the ball right, Attley was found in space, diving in the corner to put the visitors’ lead to six points. Tyler Dupree was removed from the field through injury, meaning Burrow was forced to rotate his players and it would be substitute Jordan Russell that kickstarted the Rhinos revival. With the Tigers camped on their own line, a set play involving McLelland, Johnson and Anderson split the defence, sending Russell through a gap to close the score to 16-18. Minutes later, Sam Walters scored his third try of the season, thanks to more creativity by the Rhinos half backs. With McLelland in space, he found Johnson who quickly moved the ball across the body of his number seven to find Walters. Now leading 22-18, Leeds had their tails up and on the hour mark, Anderson would mark a credible debut with a second try. With the Tigers tiring, a miss-timed pass by Ritchie Westwood was intercepted by Anderson who sprinted sixty metres to score. Barton would follow suit, scoring his second double of the season. With Leeds unable to convert more chances close to the try line, their patience paid off as another sweeping move across the field found the centre in space to score in the corner. Liam Hamill sealed the victory off the back of an attacking seven tackle set. As the Rhinos trundled down the field, the returning Hamill took a pass out wide from centre partner Joe Burton to score in his first match of 2019. Stephens was unlucky with the conversion but the comeback had been completed by Leeds, the score 36-18. Brad Jinks scored from the kick off but the game was finished, the final score Leeds Rhinos 36 Castleford Tigers 24.